The 18th International conference on Harmonisation within Atmospheric Dispersion Modelling for Regulatory Purposes took place in Bologna this week. Model developers, model users, environmental protection agencies and legislation experts gather to discuss modelling issues related to the European Union air quality directives. The conference debate aimed to answer questions such as: Are the models scientifically sound for the purpose they are used? Are the models validated against observations or physical experiments? Are the models properly used by the experts? Is proper exchange of experiences ensured? 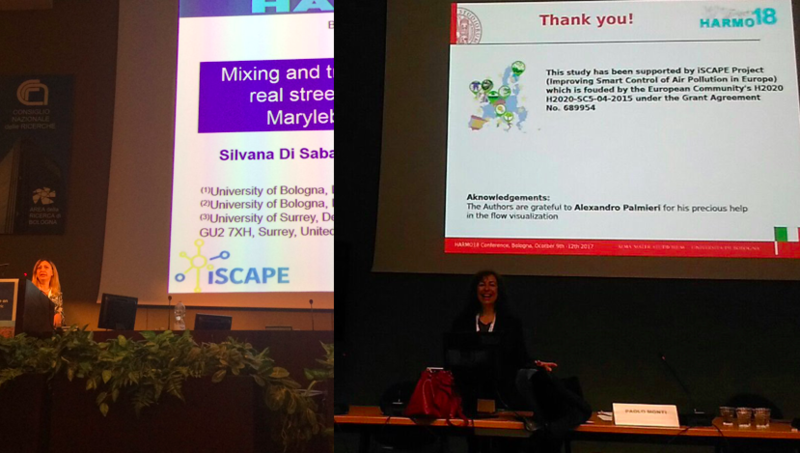 The iSCAPE team in Bologna, lead by prof. Silvana Di Sabatino, was hosting the conference and presenting the first results from the project.